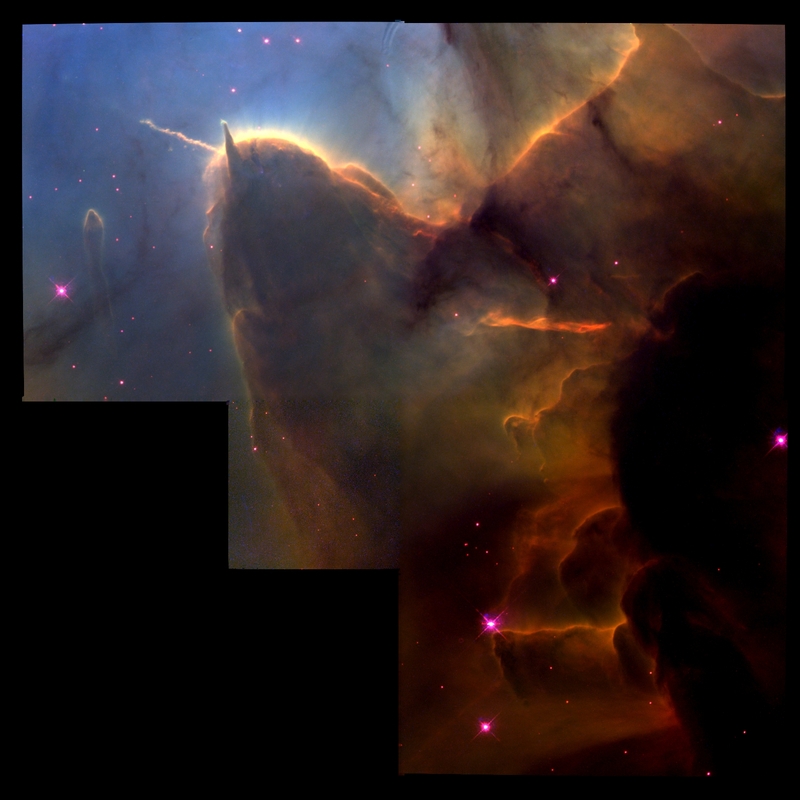 Opis: Tremendous pillars of gas and dust are being boiled away in the Trifid Nebula. 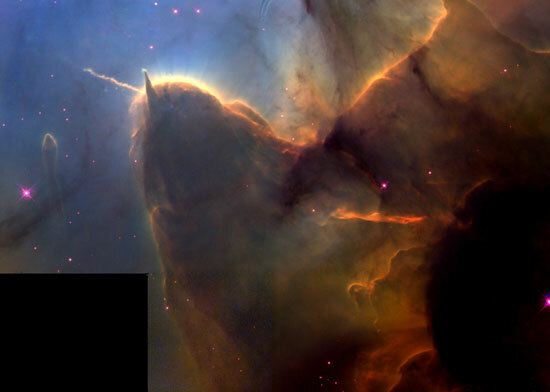 In the center of the picturesque Trifid lies a young hot star, located above and to the right of this picture. As soon as it was born, the massive star scorched its surroundings with bright and energetic light. Nearby stars trying to form ended up starved for gas as it was swept away from them by the bright star's light and wind. Lower mass stars should continue to form in the Trifid Nebula, as over 1500 times the mass of our Sun still exists in uncondensed gas. Also known as M20, the Trifid Nebula is about 9000 light years away and easily visible with a small telescope in the constellation of Sagittarius.